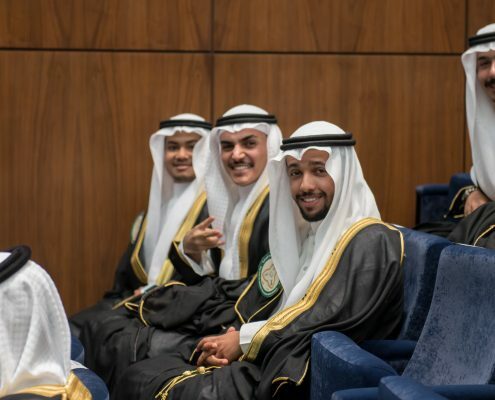 His Royal Highness Prince Muteb bin Abdullah Al Saud, Minister of National Guard, patronized on Tuesday, 10 May 2017 the Graduation Ceremony for the 14th batch of KSAU-HS students of the academic year 2017. 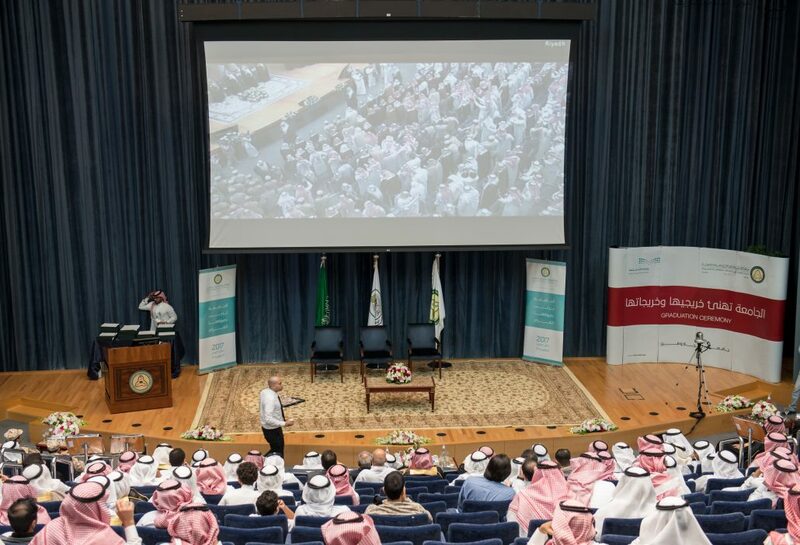 The ceremony was held in the conference center in Riyadh campus, in conjunction streaming with Jeddah and AlAhsa. 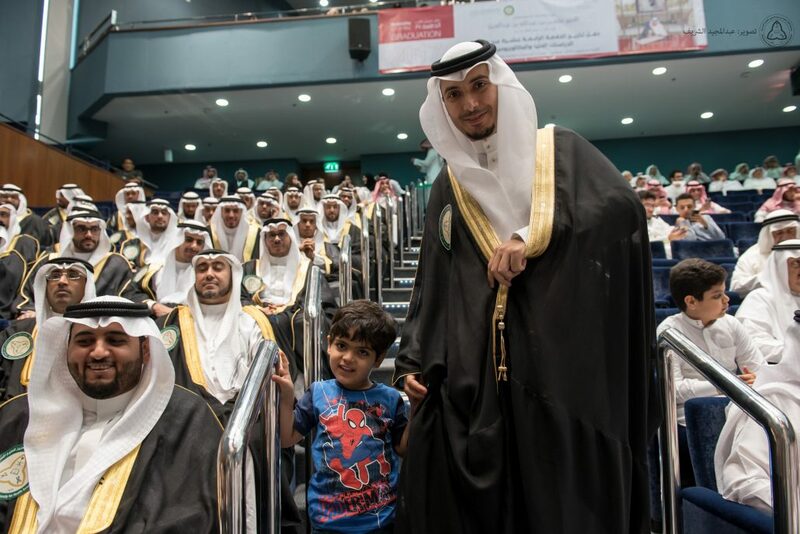 Upon His Royal Highness arrival to the ceremony, H.E. 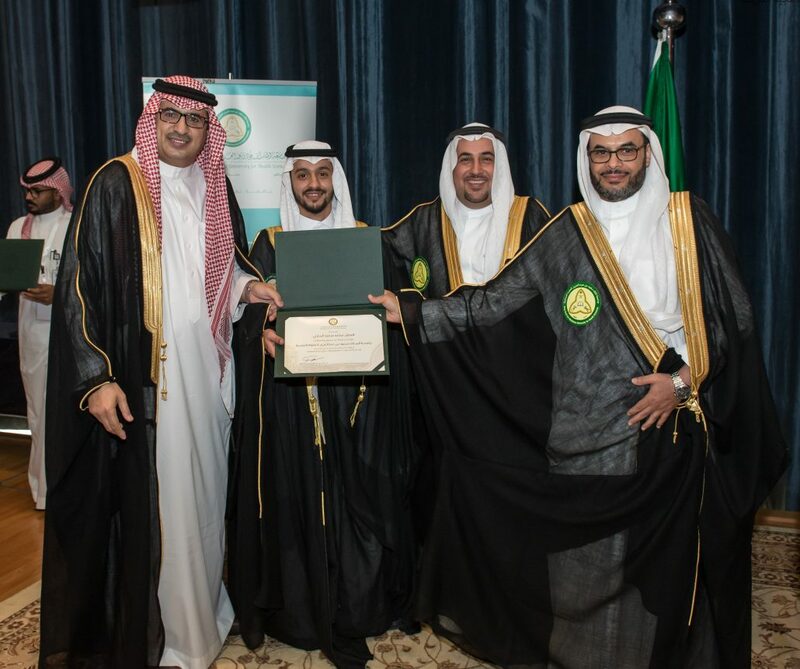 Dr. Bandar Abdulmohsen Al Knawy, President of KSAU-HS, Executive Director of Health Affairs in Minster of National Guard, Prof. Youssef Abdullah Al Eissa, Vice President for Educational Affairs, Vice presidents, and deans, were on the Red Carpet Reception. 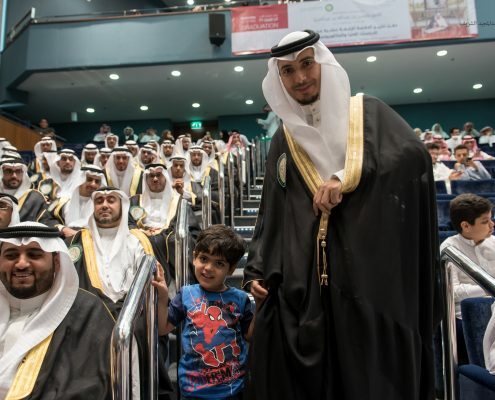 Then, National Anthem was performed. 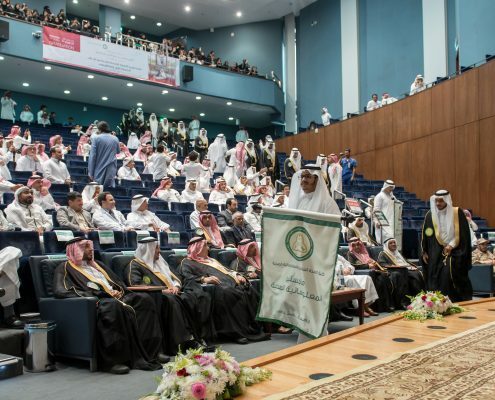 The ceremony started with verses of the Holy Quran, followed by a march of 500 graduates from bachelor, postgraduate, and scholarship degree in Riyadh, Jeddah, and Al Ahsa colleges. 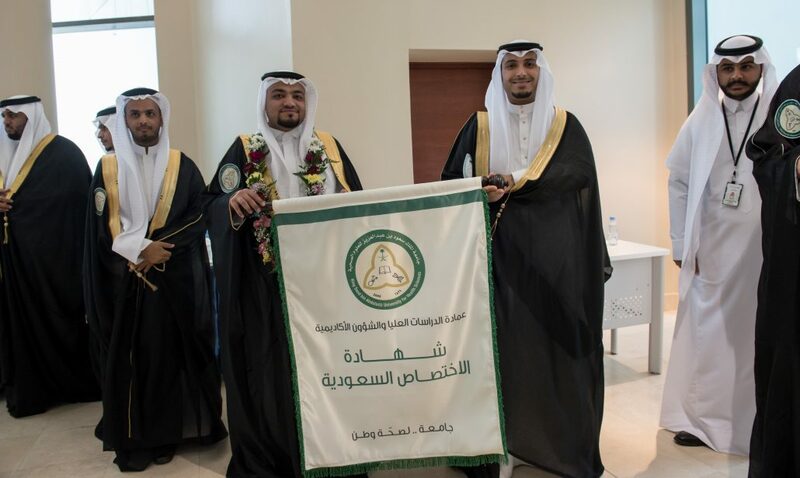 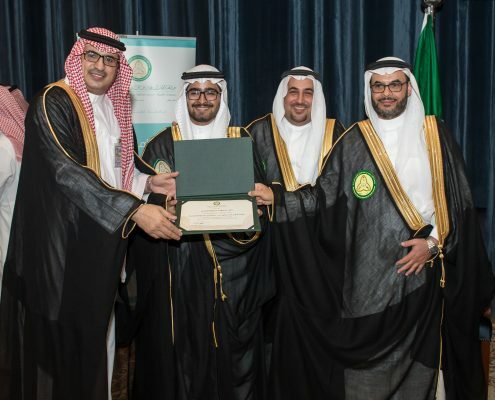 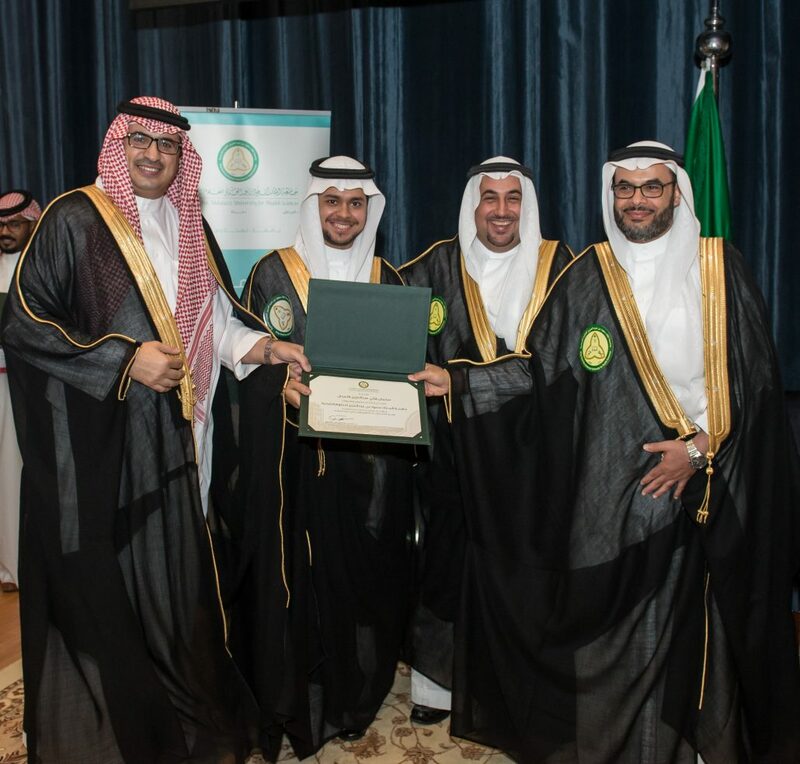 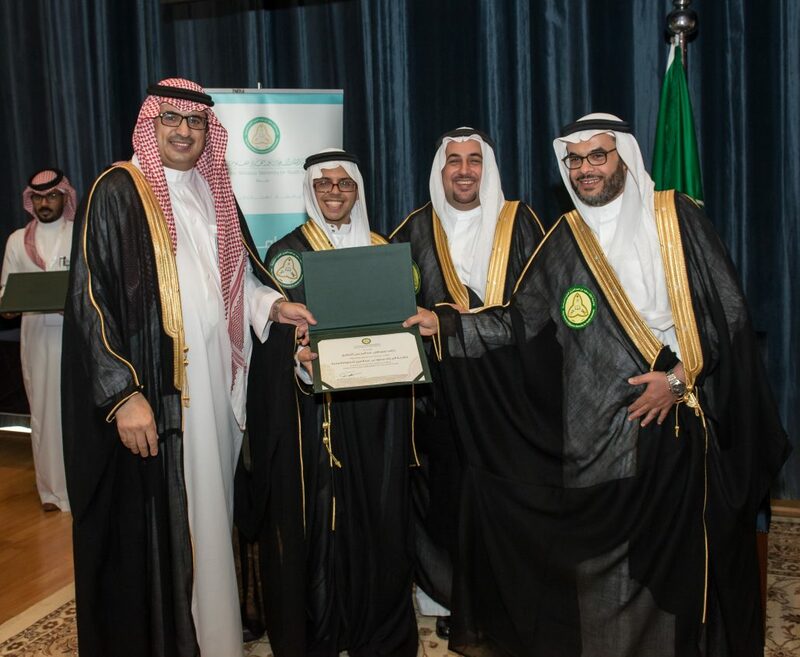 Moreover, student Amer Al Qahtani delivered the graduates speech in which he expressed his thanks to His Royal Highness Prince Muteb Bin Abdulaziz Al Saud for the patronage of this ceremony and joining the graduates in their joy of success and graduation. 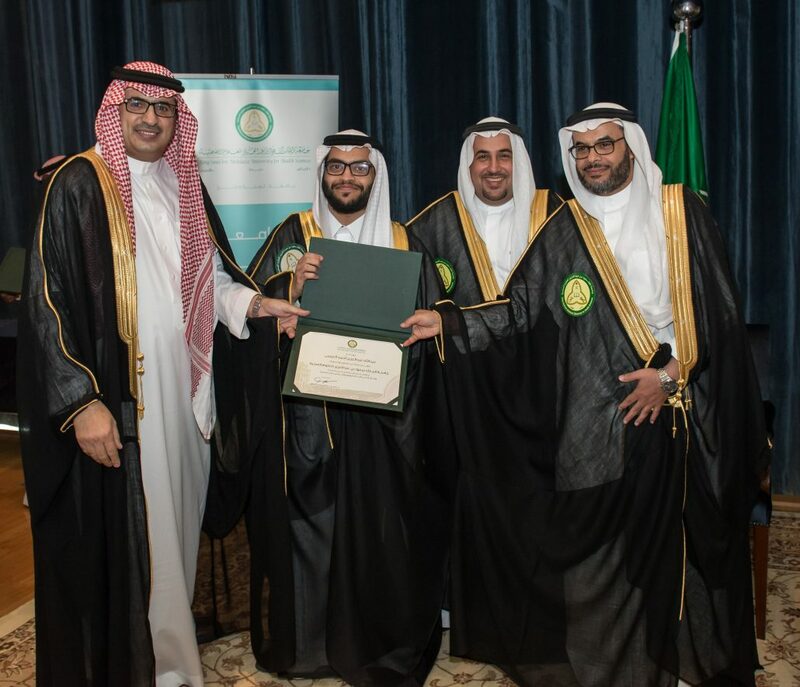 Also, he expressed his thanks to president of KSAU-HS, vice presidents, deans, and faculty for their support and providing them with appropriate educational environment. 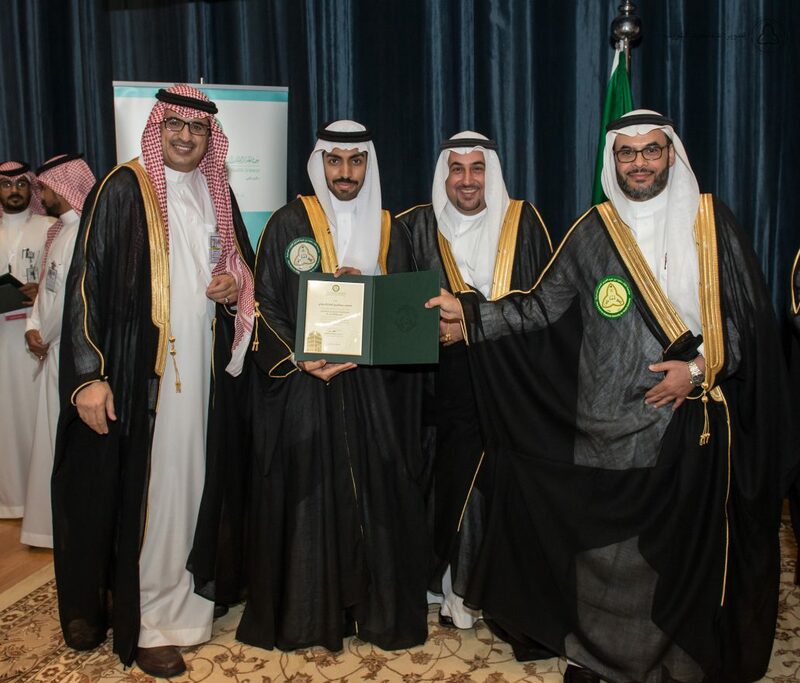 From his Part, H.E Dr. Bandar Al knawy gave a speech in which he praised the great development in health, education, research, and technology sectors during the era of the Custodian of the Two Holy Mosques King Salman bin Abdulaziz AlSaud. 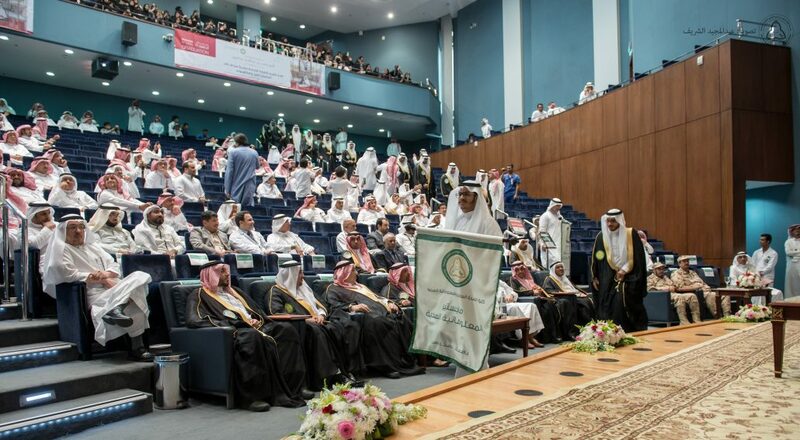 H.E pointed out that KSAU-HS is keen to gain success and privilege by achieving the national level with academic qualifications in faculty members. In addition to achieve the national level in postgraduate students, also achieving the best rate among Saudi universities. 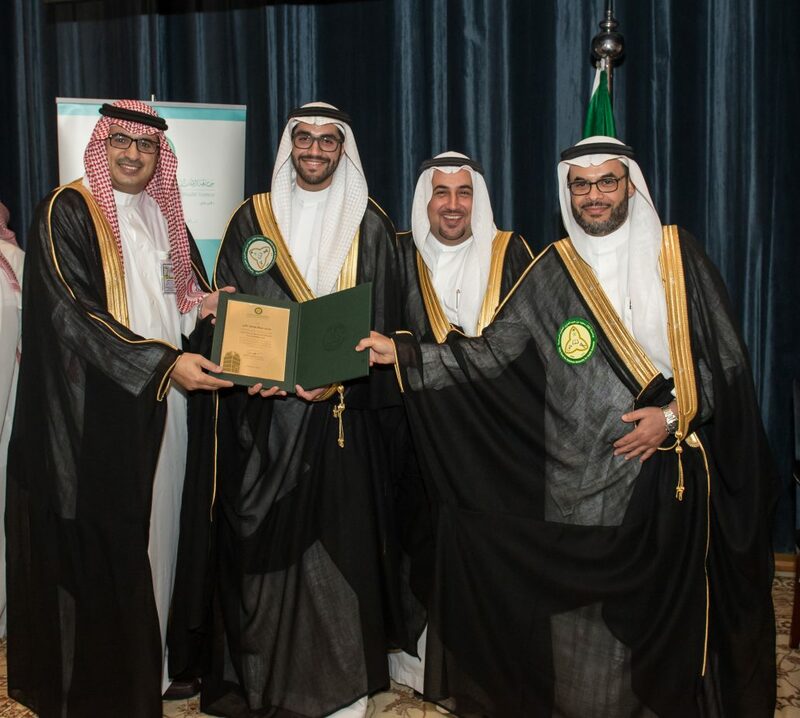 Also, H.E added that the university was marked by a high rate of student satisfaction with career and academic guidance that reflects KSAU-HS concern with student participation in the clinical training. 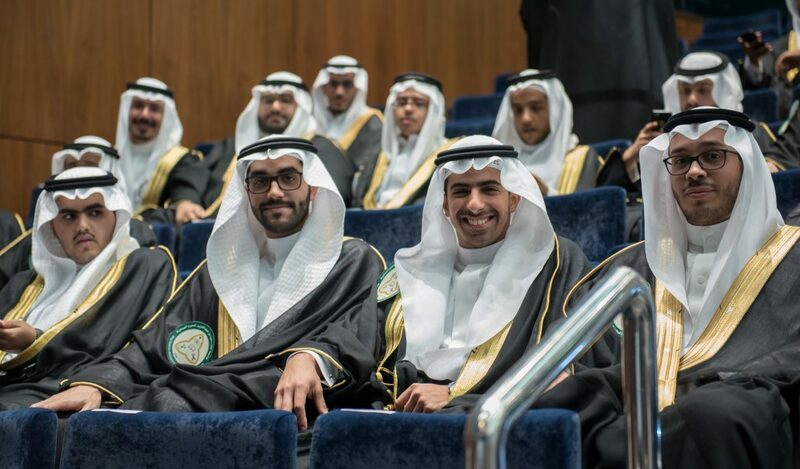 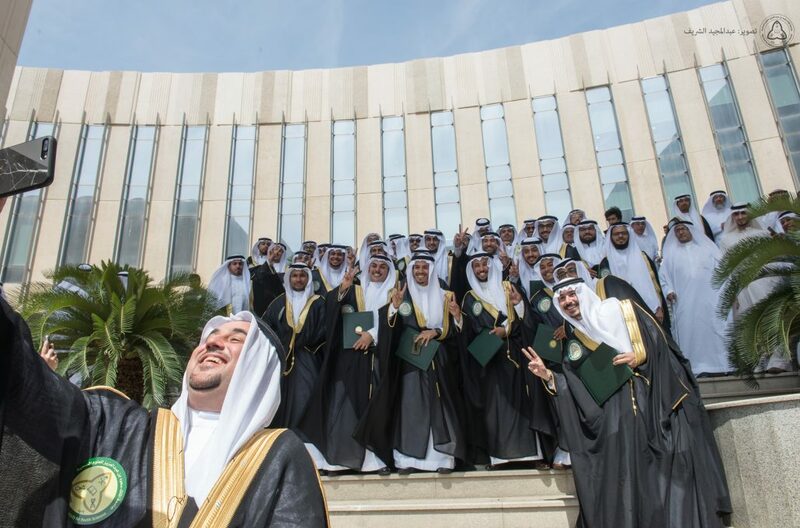 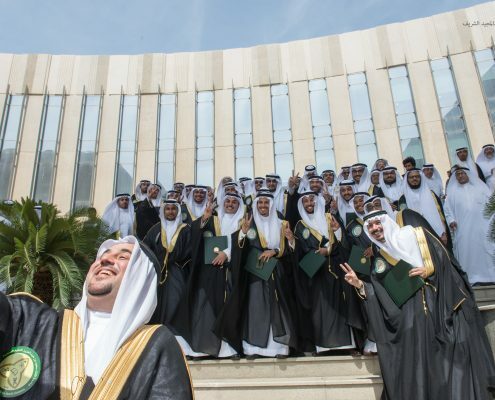 Furthermore, “The University celebrates the graduation of 500 students, 146 of whom are postgraduates, 346 are bachelor’s degrees, and 8 are scholarship.” The University’s ambition is to fill the need of the health sector in the Kingdom through training national doctors, achieving job localization and self-sufficiency. 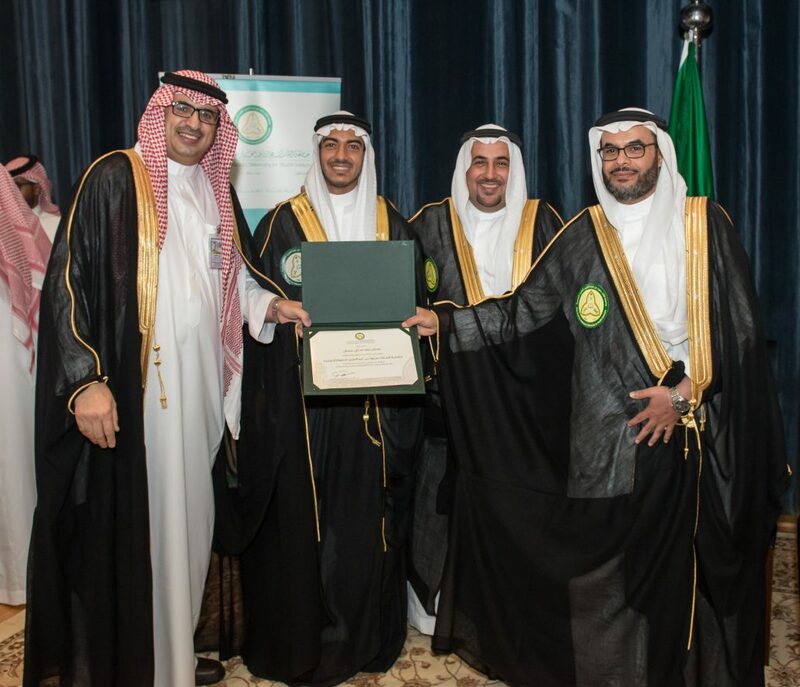 In Addition, H.E Dr. Bandar Al knawy thanked His Royal Highness Prince Muteb bin Abdullah for honoring the ceremony. 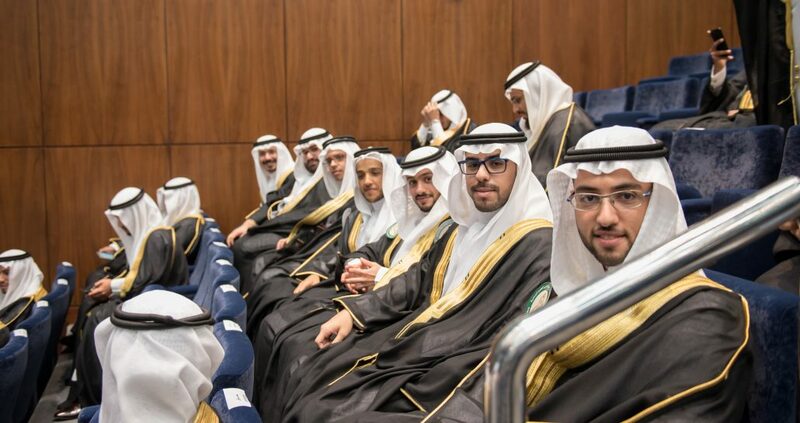 Also, H.E on behalf of the university, thanked the Minister of Education, Dr. Ahmed bin Mohammed Al-Issa, for supporting the university’s excellence and success. 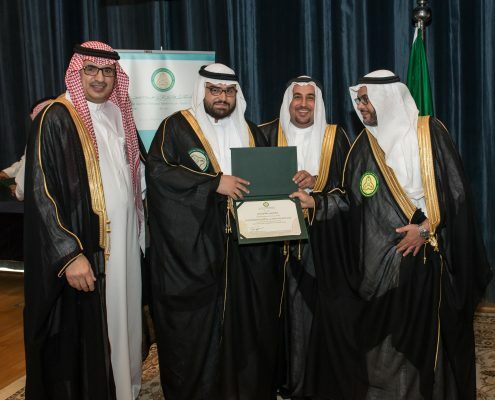 Thus, achieving the highest degrees of academic professionalism in performance and output. 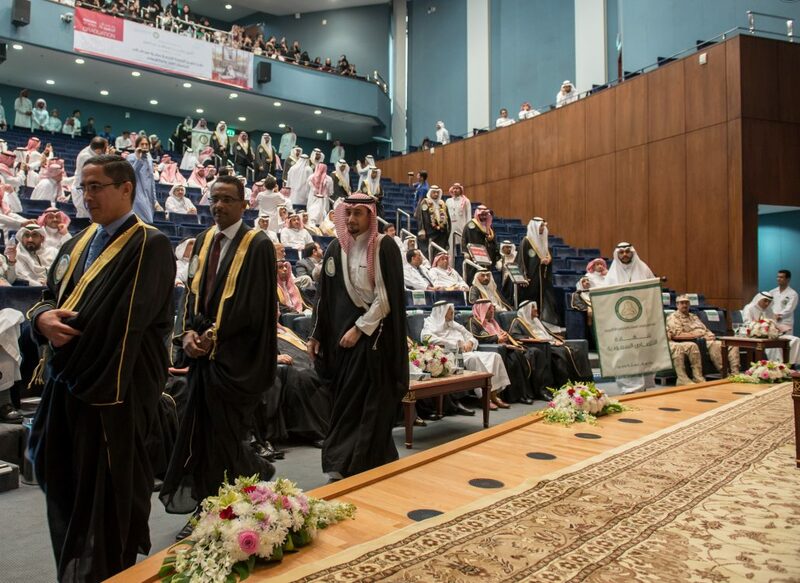 Also, he congratulated the graduates and their families. 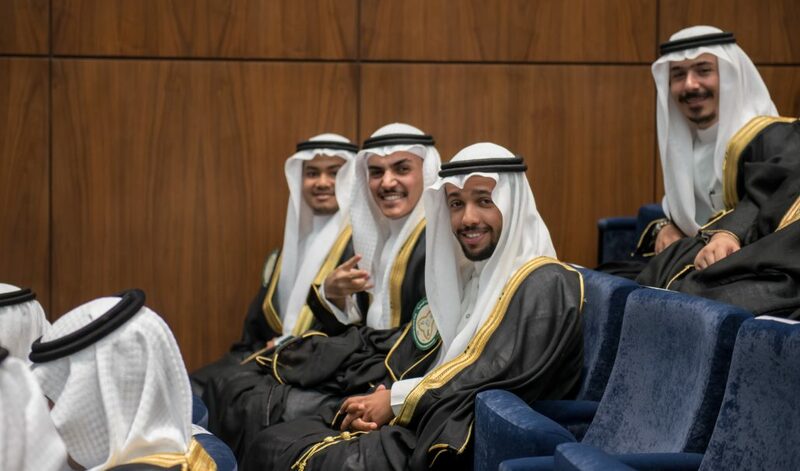 Moreover, H.R.H prince Muteb bin Abdullah AlSaud congratulated the graduated for their achievement, and he thanked their parents for supporting them during their educational career at the university. 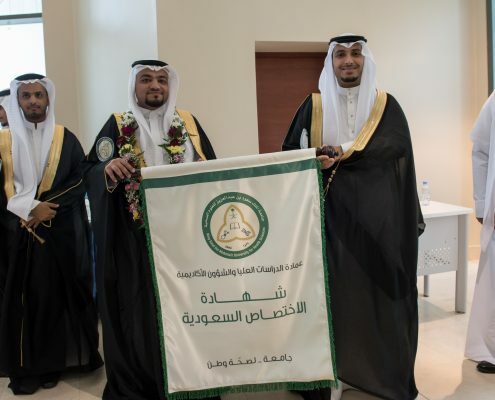 Beside, H.R.H stressed the role of the Custodian of the Two Holy Mosques King Salman bin Abdulaziz AlSaud in supporting the educational and health sector in the Kingdom. 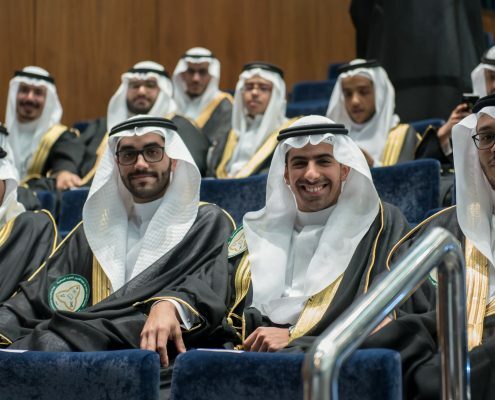 H.R.H pointed out that every year, the university graduates qualified competencies that are capable of achieving his vision in prosperity and providing appropriate services for all citizen. 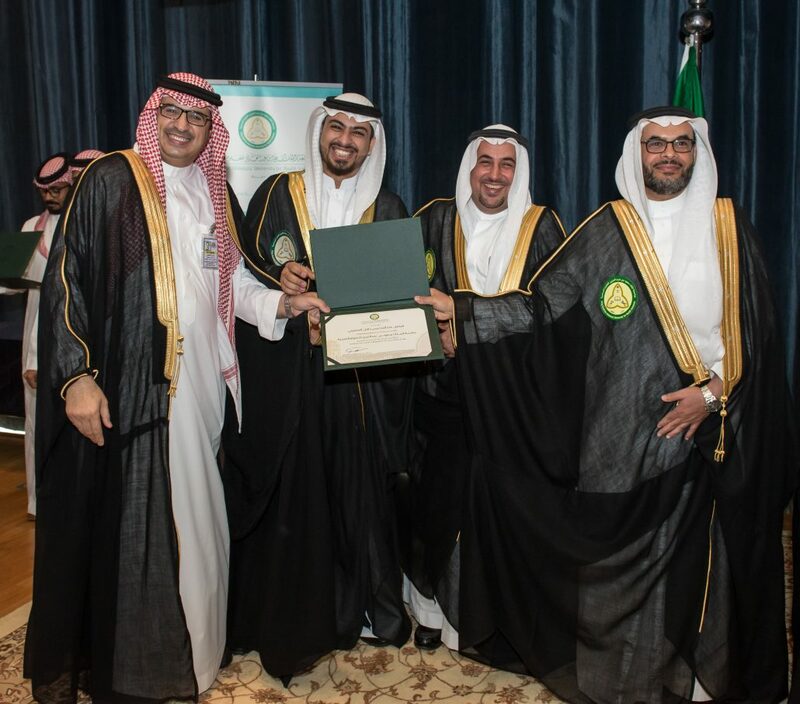 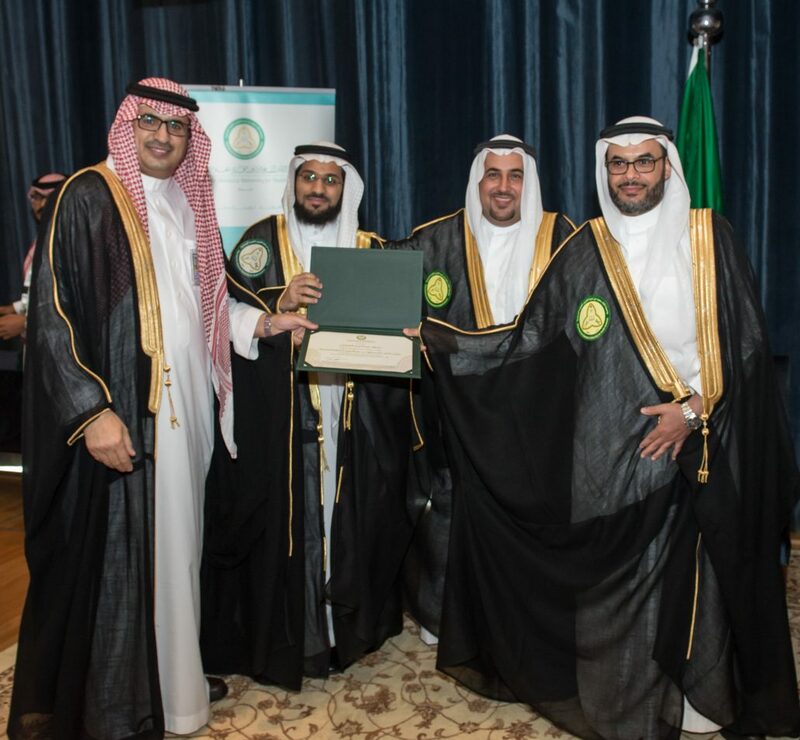 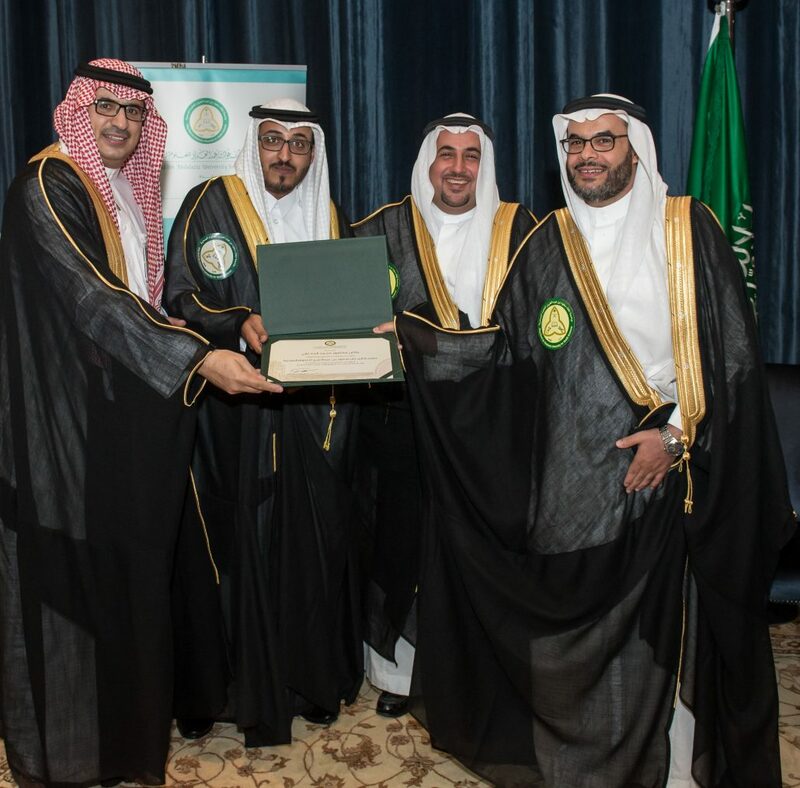 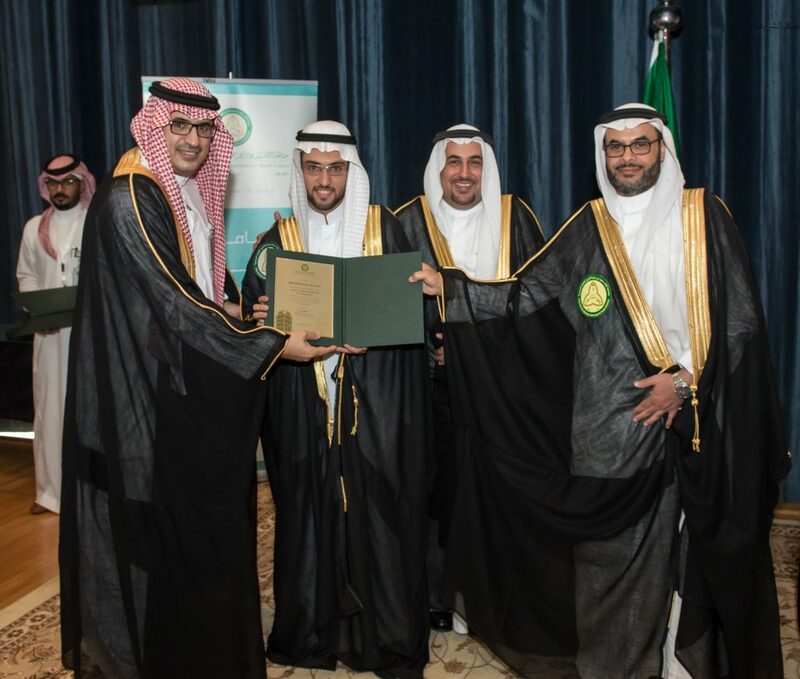 At the end of the ceremony, H.R.H Muteb Bin Abdullah Al Saud handed Abdulrahman Al Enzi “Ideal Student award”, as well as students with Honors degree their graduation certificates.